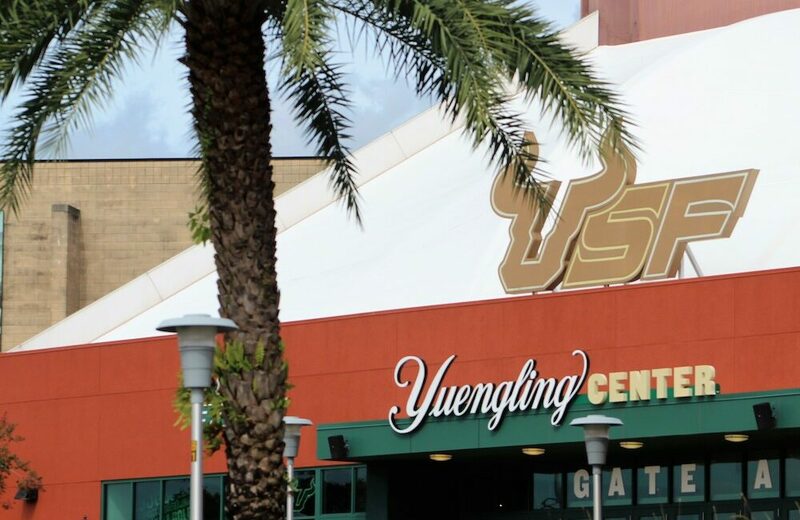 Having worked with Tampa Bay Entertainment Properties on some of the Tampa Bay Lightning projects in the past, we were thrilled to be able to partner with them again on the rebranding of the USF Sun Dome to the Yuengling Center. The vision for this venue is to help our community connect through the energy of a crowd, providing an intimate arena so we can enjoy diverse experiences together…whether it be sports, music or other entertainment. 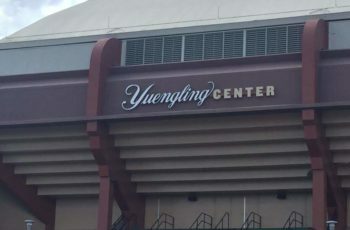 Creative was called on to help design and manufacture signage that would reflect the Yuengling Center’s brand standards, and then to fulfill the complicated installation. 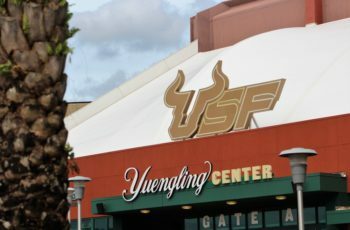 This all needed to be accomplished within a few short months! 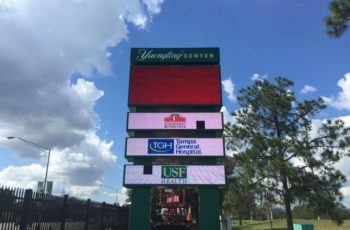 Creative’s team jumped into action producing the renderings, working with engineers, manufacturing the signage and finally installing at the end of October 2018. 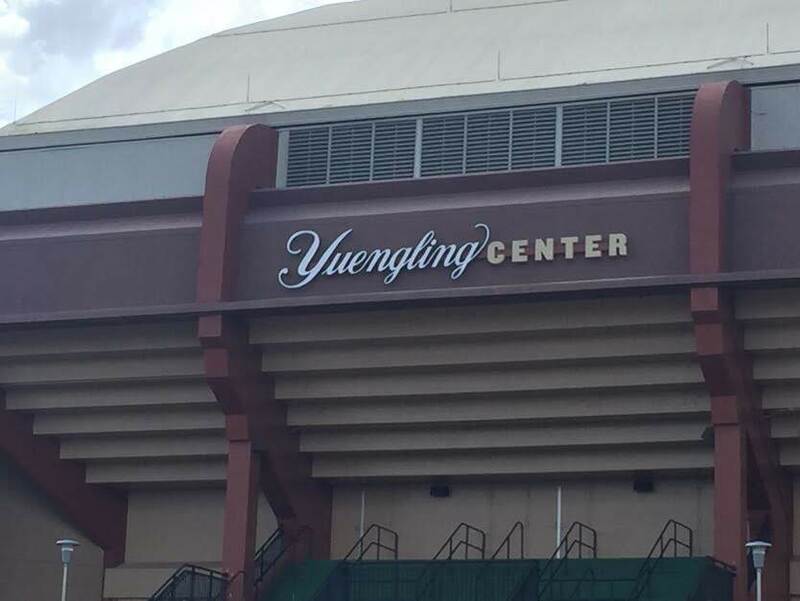 We produced four sets of illuminated channel letters, each with Yuengling’s serif font which is intricate. In addition, we supported the rebrand of the 5/3rd club, helped refurbish the panels on the scoreboard, and finished out a new circular banner that descends from the scoreboard. 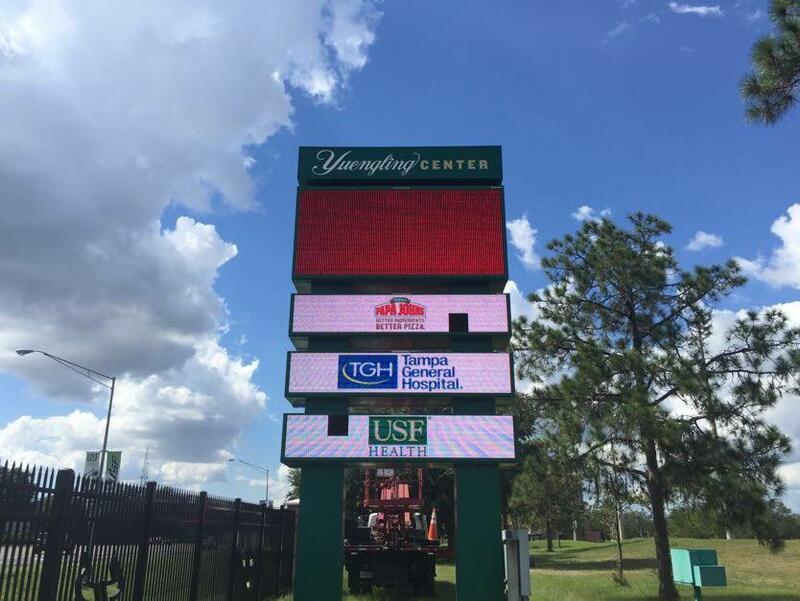 We are proud to have been the chosen signage vendor for this project and look forward to making memories here in the future!